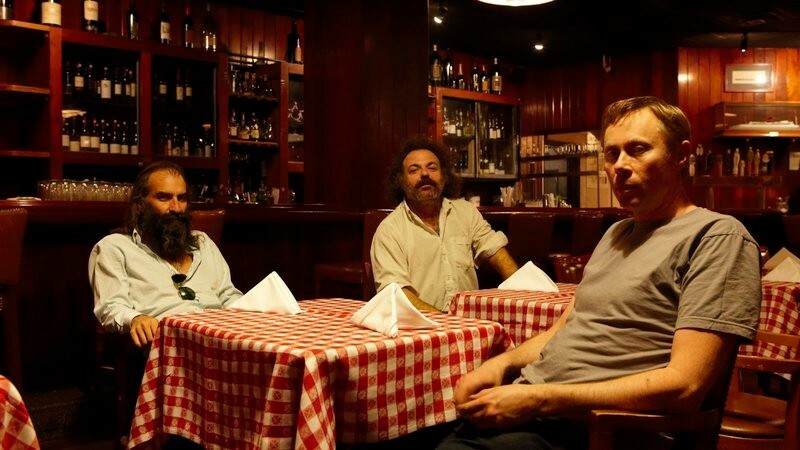 Dirty Three are an instrumental trio consisting of Warren Ellis (violin), Mick Turner (electric guitar) and Jim White (drums), originating from Melbourne, Australia. Since the Dirty Three formed in 1992, they have spent a lot of time overseas. Mick Turner is currently based in Melbourne, drummer Jim White lives in New York, and Ellis lives in Paris. The Dirty Three's sound is distinctive, composed of folk melody, rock energy, elements of classical, chamber music, jazz and blues, Celtic, and other European folk styles- a diverse collection of influences, though the style of music the trio play is uniquely their own, born from years of musical experience.